New in 2017 – an iconic part of Bathurst’s history joined the fun on the 12-hour weekend for the first time in 2017 and the Pirelli Shootout is back in 2018. 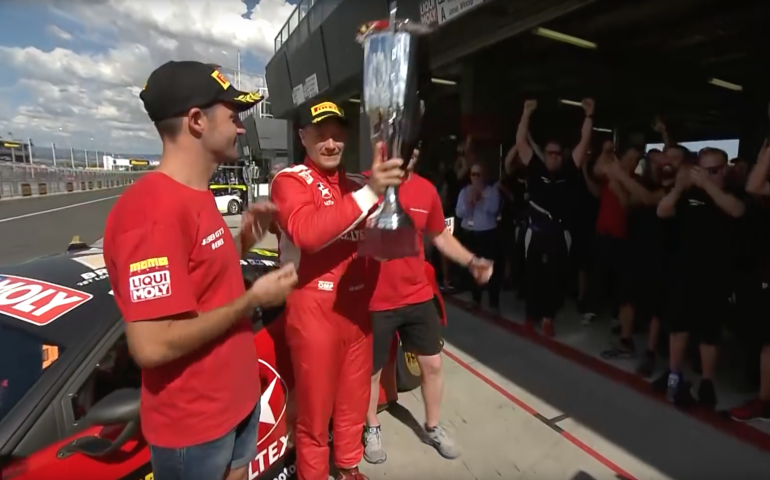 A Bathurst shootout never fails to excite and the 12-hour’s first one was no different, with flying Finn Toni Vilander saving his best to last to bang in the fastest time and grab pole for Ferrari in searing hot conditions. To add to the prestige, the winning team wins the Allan Simonsen Pole Award – one of the 12-hour’s most special prizes. The qualifying record is 2m01.567s set in 2015 by Shane van Gisbergen. It’s the fastest ever lap officially recorded at Mount Panorama. Vilander’s pole time in much, much warmer conditions in 2017 during the first ever Pirelli Shootout came in a still brisk 2m02.954s. Sub two minutes? A definite possibility – and if it happens, it will most likely be in the shootout. As Greg Murphy or Scott McLaughlan will tell you.. special things happen when its just you, your car and that special circuit on a Saturday afternoon. The 2018 Pirelli Shootout will be broadcast live on 7mate from 4:00PM AEDT on Saturday, 3 February. Don’t miss it.